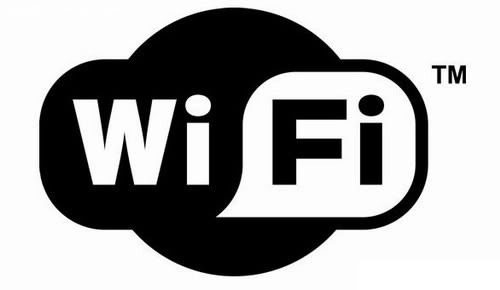 Whether you're tapping away at your tablet, laptop or mobile while out and about in Melbourne, public wifi has become an increasingly popular and easily accessible way to connect to the world wide web. Below are free and convenient, Melbourne wifi locations to keep in mind for next time you need to log on, on the move. Smack in the heart of the CBD, Fed Square is host to a wide array of cultural events, exhibitions, galleries, restaurants and cafes and is a hub for tourist information. If a particular work of Australian art, or an especially beautiful cappuccino has taken your breath away, why not share it with friends online straight away with Fed Square's limitless public internet. Melbourne (aka Tullamarine) Airport offers free wifi in all it's public areas, gate lounges and terminals 1, 2, 3 and 4 (terminal 1 is also free but offered by Qantas) You will need to answer a handful of short survey questions to be able to log on. If you're going by train and joining the 110,000 passengers who daily travel through Flinders Street Station you can wait for your train while connected to the free wifi that is accessible station wide and on all platforms. Settle in at a cosy café with a steaming mug of coffee, a slice of cake and the ability to tweet about it. The good people of Melbourne take cafés very seriously and free wifi completes any coffee connoisseur's favourite haunt. The big ones like Starbucks have wifi in all of their Australian stores. You receive the wifi password upon purchase of a coffee. Gloria Jeans in the CBD operates on this same principle but many of your smaller, locally owned cafés will have free and often unlimited access with no passwords required. If you're after a bite to eat while you surf the net, urbanspoon.com has a feature where you can refine a search of all listed restaurants in your city or suburb by those that offer free wifi. Or, if your craving a happy meal with your free internet, any McDonald's will have a connection. The State Library of Victoria on Swanston street is open seven days a week. It's filled with power points to keep you charged up while surfing the net and is perfect for laptop users. North Melbourne Library, East Melbourne Library and Docklands Hub also have free internet as does City Library if you have a library card. Often libraries will have printers available to make hard copies of your online finds for a small charge. With so many of us using the internet to check our emails, browse social networking sites and even keep an eye on our bank balances it's worth pointing out that many public access points are unsecure if they don't ask you to give a password before allowing access. This means that any information you send or receive online could be intercepted or secretly viewed by anyone who might be out to steal your personal details. One way to protect yourself from lurking cybercriminals is to set up a virtual private network (VPN) which will make the connection secure by encrypting all data that passes between your wireless device and the public network. Aside from this make sure your virus and malware protection is up to date and you should be hitch free. Really helpful article - thanks. how does one set up a VPN?